I’ll often ask folks who come to my practice tee if they could master anything about the golf swing, what would it be. You can imagine some of the answers I get — shoulder turn, weight transfer, balance and tempo … all reasonable requests for sure. Few mention the golf club face itself. During my own career I have been blessed to have been mentored by some of the greatest teaching and coaching minds in the last fifty-plus years. Leadbetter, McLean, Flick, Toski, Hebron, Smith, Strasbaugh, McHatton, Shoemaker, and Lohren, just to name a few. That said, the one person and the one day that continues to hit home with me was at least 25 years ago on a hot fall day at The Champions Club outside Houston, Texas. I was extremely blessed to be able to spend a few days with the great, and I mean great, Jackie Burke. 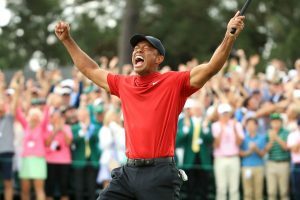 In case you don’t know, Jackie was a wonderful and talented player with many career highlights including victories in both The PGA Championship as well as a little get-together in Augusta, Georgia, called The Masters. Ever since that day I have always paid extremely close attention to a student’s club face at several key junctures during the swing — the top, certainly at impact, post-impact release conditions — but the one area that I often I see flawed, amazingly, is at the starting gate. We call that set-up. This should and is easy to fix. Imagine fixing a major flaw before the club ever goes in motion. How great would that be? Many more times than not I see a player’s face slightly closed or slightly open at the set up. Most often the student doesn’t even realize it. I’ll ask the student to set up and hold his or her set-up position. 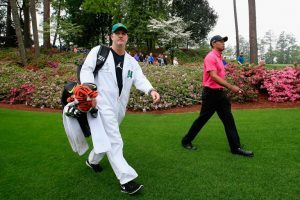 I’ll reach over and take hold of the player’s shaft and slowly lift the club to the student’s eye level and ask them what they see. They instantly detect the flaw, be it open or closed, and certainly realize the face is in fact flawed. The very next question I generally get is, “why couldn’t I see that on the ground?” Before I answer I tell them, “although you didn’t consciously see it, your brain did.” Therefore, the brain will try to correct the flaw “in-swing.” Tough to do consistently in less than two seconds at over 80-90 mph. Example: If the face is slightly closed at address the brain will never aggressively release the face, robbing you of speed and likely the direction you may have wanted. Let’s go back to the “why” you couldn’t see it on the ground, yet it was crystal clear at eye level when I held the shaft up. We are, by nature, vertical bi-ocular animals — meaning we best detect things standing erect and focusing outward at the horizon using both eyes. When we bend from the waist with somewhere between 0-20 degrees of tilt and view the face, AND try to relate it to a target 100-200-plus yards away by swizzling our neck to rotate our head 45 degrees, no damn chance! The condition we best function in has been radically altered. Unless we have a process to overcome the unnatural occurrences created by golf, we will generally fail. The need for a sound pre-shot routine to build target line awareness, as well as a checkpoint at which we stop and hold the club at eye level and check the face just before grounding it behind the ball, is paramount. So many Tour players do these things almost instinctively. I think all teachers and coaches should be building both an ultra-sound pre-shot routine with a definite face checkpoint for every player they work with. 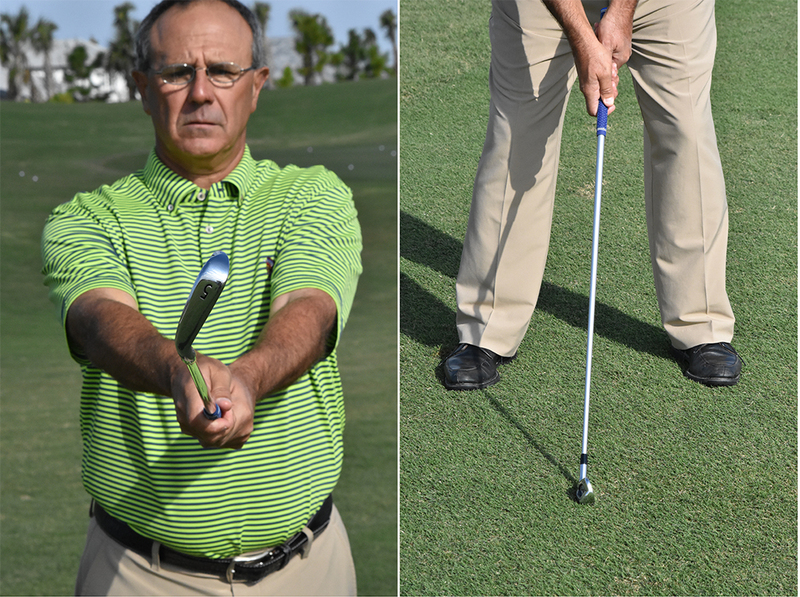 View each of the photos in this article, then test your own club face by setting up to a ball in your own natural set-up condition. 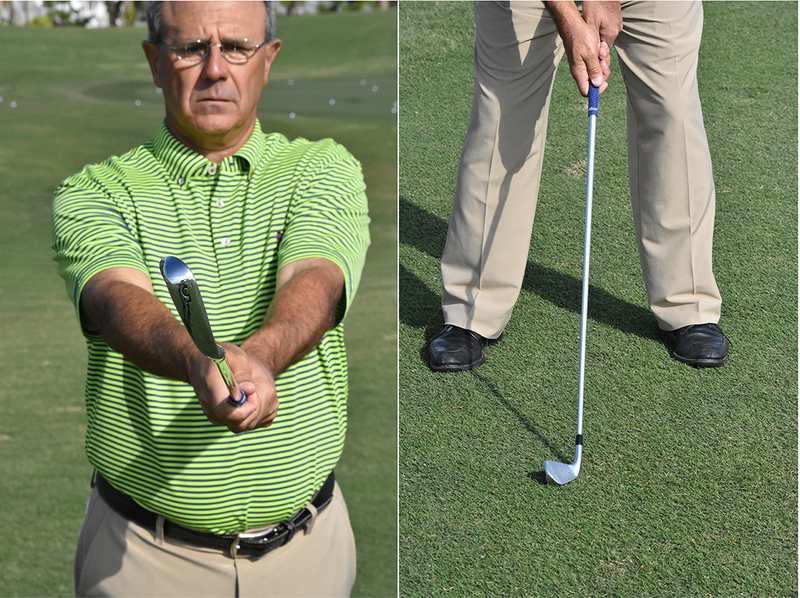 Without manipulating the golf club face, slowly raise it to eye level. If the leading edge of the club isn’t perfectly perpendicular to the horizon, you need to build in a check point at eye level during your pre-shot routine. 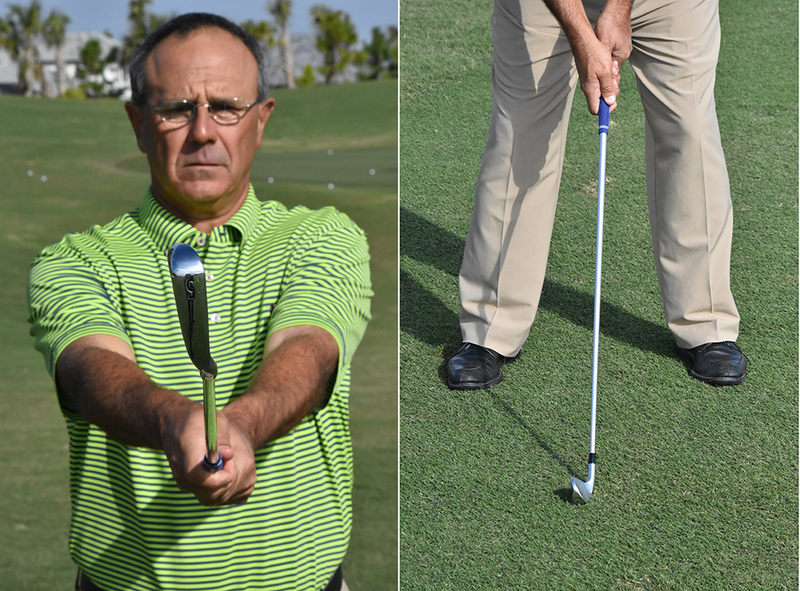 Don’t waste one single great golf swing with a flaw that can be easily prevented.